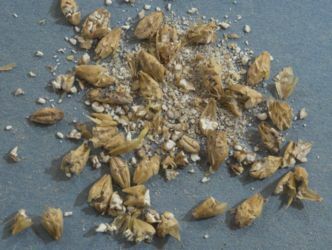 Malt is grain that has been malted. What is grain? What is malting? Grain is any cereal crop used as food: rice, corn, oats, barley, wheat, rye, buckwheat. Their starch is the reason they're used in beer. We'll see why later. Malting is the process of softening the starch and releasing enzymes. Why do we want to do this? Because yeast, which ferment the beer, cannot digest starch. They eat sugar. The starch therefore needs to be converted to sugar, and this is accomplished with enzymes. The grains are steeped in warm water for a few days, which causes them to begin to sprout, enzymes to be produced, and the starches to begin to get broken down by the enzymes. Then the grains are dried in order to stop the process before they fully sprout. Grain being malted in a malt house. The most common grain used in beer is barley. Why barley? Three reasons. First, it is highest in enzymes. Second, it has a husk, which some grains such as wheat and corn lack. We'll see later why a husk is important. Third, barley provides more body and flavor than most other grains. 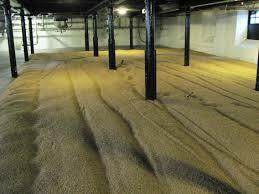 When brewers get the dried, malted barley, they run it through a mill to expose the starch and enzymes. Then the milled grains are steeped in hot water to catalyze the enzymes' conversion of starch to sugars such as maltose, glucose, and others. This process is called mashing. The main enzyme that does this is called amylase, which is also the main enzyme in saliva. This is why if you chew grains or a cracker long enough, it will start to taste sweet. Milled malt. Malt being mashed. The grains are strained and rinsed to collect the sweet liquid - called wort - while leaving the solid matter behind. This is why a husk is important. When straining the mashed grains, husks are necessary in order to provide a natural filter. Without husks, the mash becomes a thick, solid mass and cannot be strained. 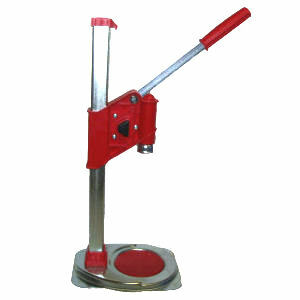 You can grind, mash, and strain malted barley yourself (this is called all-grain brewing). 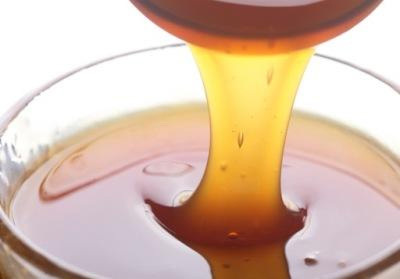 To save time and work you can buy malt extract, which is a syrup or powder made by companies who grind, mash, and strain the malt for you, then dehydrate the liquid. If you're just starting out, extracts make the brewing process a lot easier. Simply mix the syrup or powder with water (this is called extract brewing). Dried malt extract. Liquid malt extract. Malt in and of itself would make a very sweet product, so the sweetness should be counteracted with something. Many ingredients have been used over the centuries, including juniper berries, spruce tips, bog myrtle, ginger, yarrow, rosemary, and many others. The preferred ingredient is hops. What are hops? 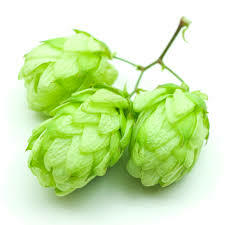 They are the flowers of a vine whose latin name is Humulus lupulus. They contain resins and essential oils. The resins, when boiled in water, get isomerized into alpha acids, which taste bitter to us. The essential oils provide the floral/spice flavors and aromas in beer. Hops. 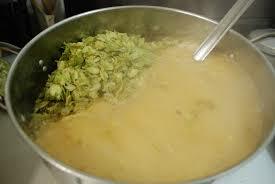 Hops being boiled in wort. Other additives can be used to impart unique flavors to beer. Many types of spices and fruits are used. For example, Blue Moon is flavored with coriander and orange peel. So, the wort is boiled with hops in order to extract hop aromas and flavors, and also to sterilize the wort so that wild yeasts and bacteria don't ferment the wort into foul-tasting beer. Usually the wort is boiled for 1-2 hours. 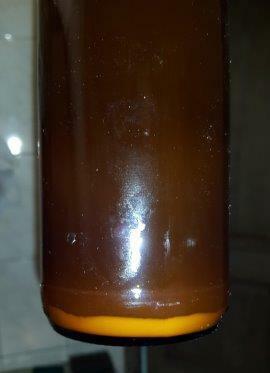 After boiling, the wort has to be cooled. You could simply let the wort sit for a day, but this would allow undesirable chemical compounds to form. Plus, once the wort goes below 120 degrees, spoilage organisms can start to take over. 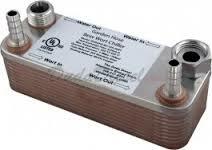 Therefore the wort is quick-cooled with a wort chiller, which uses water to chill a copper contraption that contacts the wort. 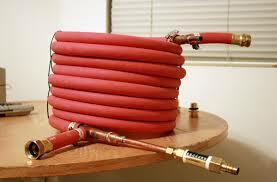 Copper is used because of its excellent thermal conductivity. Plate chiller. 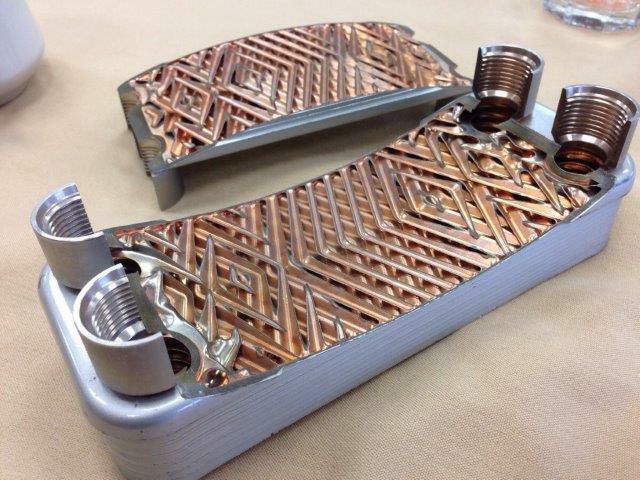 Plate chiller internals. Once the wort is cooled, it is put into a fermentation vessel. 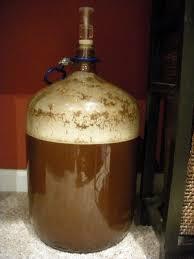 It can be a cylindroconical tank (such as professional breweries use), a bucket, or a glass jug called a carboy. The fermentation vessel must be very clean. The world is teeming with microorganisms. They are what cause us to get sick and food to spoil. 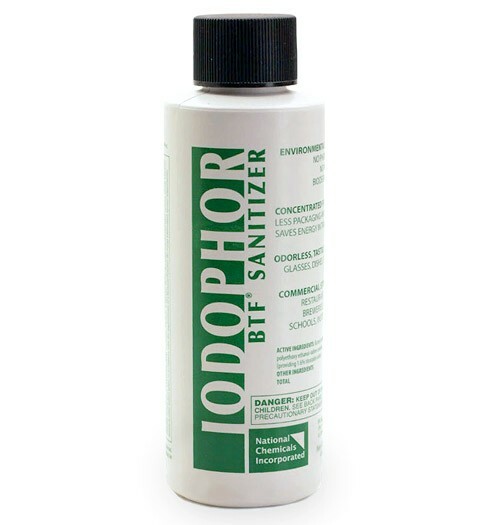 Beer is also subject to contamination, so sanitation is a very important part of the beer-making process. 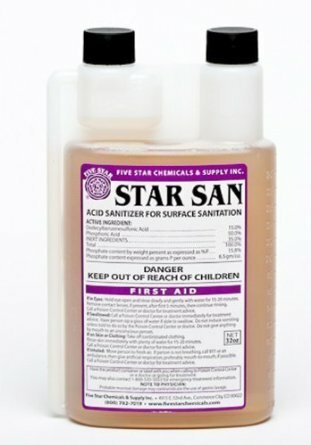 Anything that touches wort after it has been chilled must be clean. 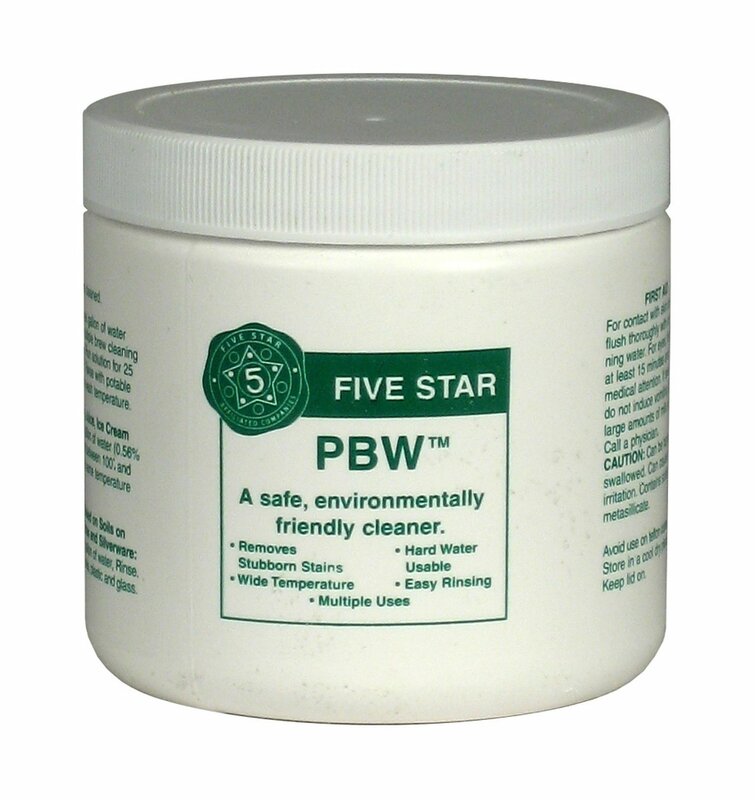 There are many cleaning products specially made for brewing. Brewers yeast is added to the fermenter. 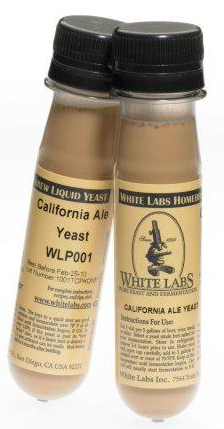 There are many strains of yeast that brewers use, with each one imparting its own unique flavor profile. These have been shown via trial and error to be desirable organisms that give pleasant aromas and flavors. 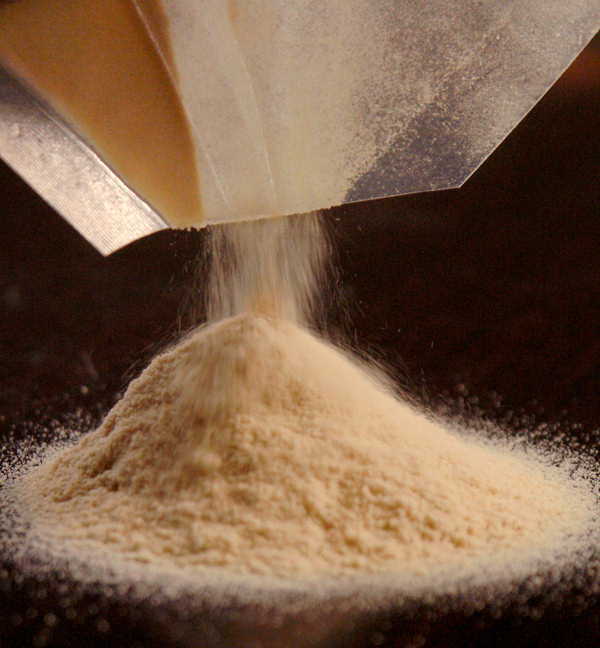 Yeast companies grow and store them under sterile conditions. 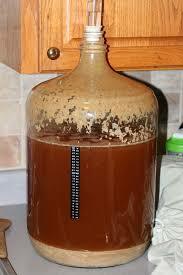 Fermentation can take one week or several months depending on yeast strain and fermentation temperature. 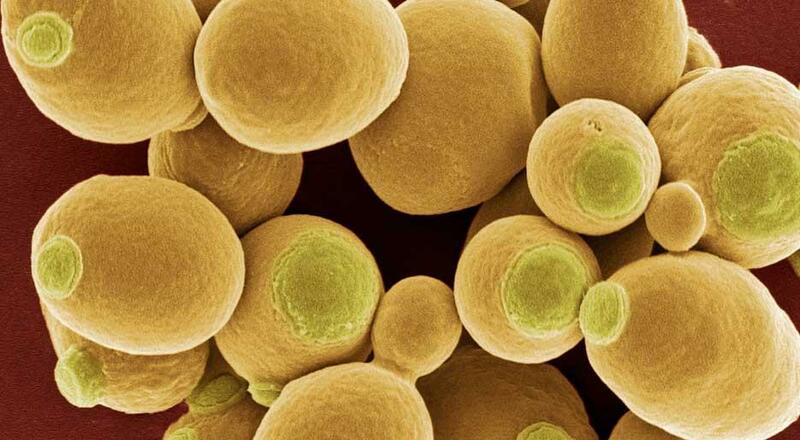 Yeast under microscope. Liquid yeast. 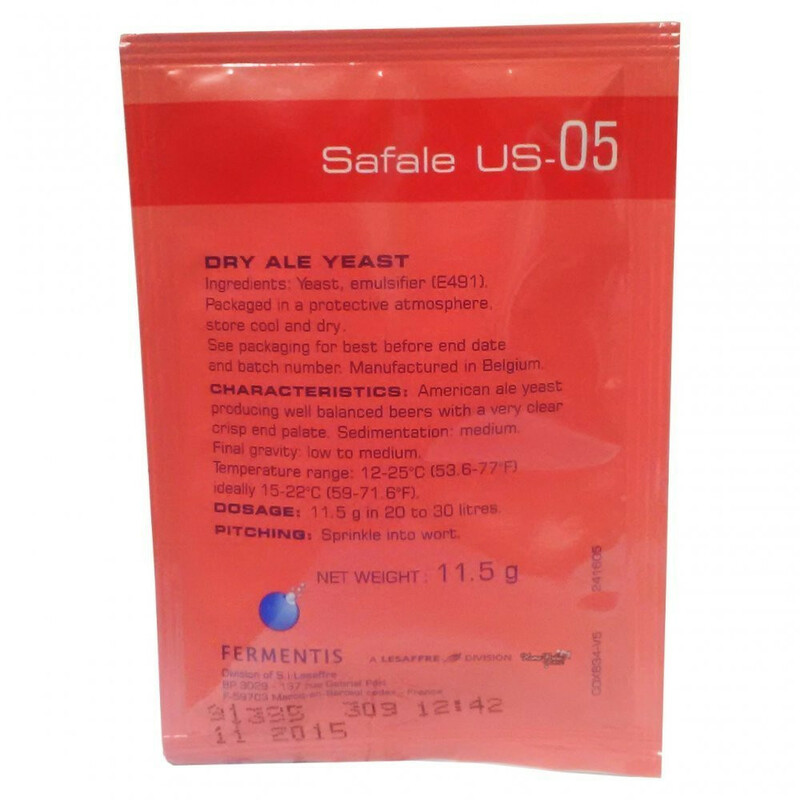 Dried yeast. 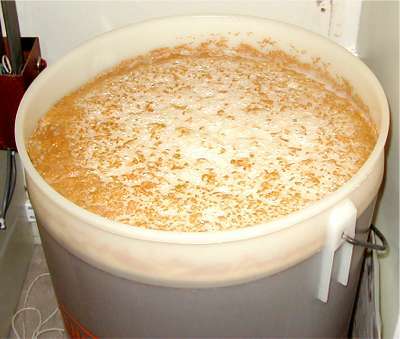 After fermentation, there is a sludgy layer of yeast and proteins (called trub) at the bottom of the fermenter. We don't want this in our beer, so we siphon the beer from our fermenter to another vessel. 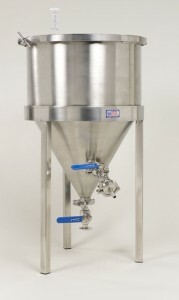 Or, if our fermenter is cylindroconical, we can drain the slurry off the bottom. Trub at bottom of carboy. Now the wort can be either kegged or bottled. 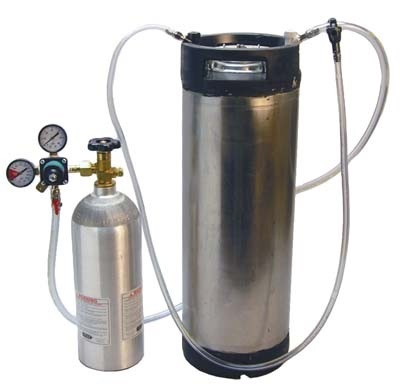 Kegging is easier: the wort is simply pumped or siphoned into a keg and force carbonated with a CO2 tank. Bottling takes more work. 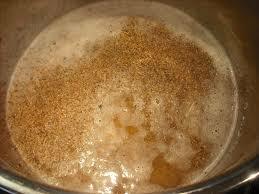 First, a precise amount of boiled sugar must be added to the wort. It has to be enough for the small amount of yeast still in suspension to eat and produce enough CO2 to carbonate the beer, but not so much that the bottles will explode. Next, the bottles have to be cleaned and sanitized. Then the bottles need to be filled with a hose and bottle wand. Finally, each bottle must be capped. CO2 tank and keg. 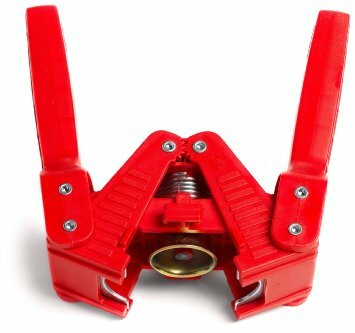 Hose and bottling wand. Now we wait. It takes a few weeks or months for the beer to carbonate. Kegged beer should be kept cold the entire time because it facilitates the diffusion of CO2 into solution. Bottled beer should be kept at room temperature because yeast go dormant when chilled. Okay, several weeks have passed and we can't wait any longer. Time to sample our product! For kegged beer, pour about a pint and discard it, since that portion will have some trub. Then pour yourself a glass. For bottled beer, chill it and open it, then decant it into a glass. The bottom of the bottle will have trub, which gets kicked up each time you tilt the bottle, so simply pour it all at once into a glass in one gentle motion. Trub at the bottom of a bottle. 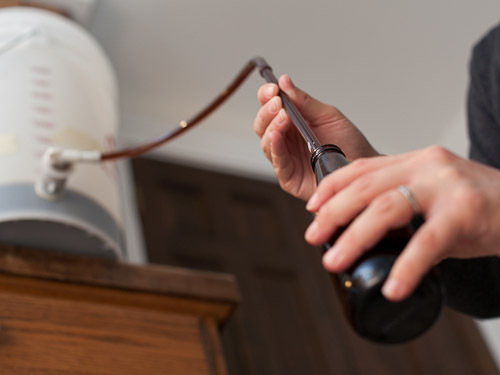 Homebrewing takes a considerable amount of equipment: a boiling pot, a burner, some buckets, a long-handled spoon, tubing, cleaning chemicals, and bottles or kegs. 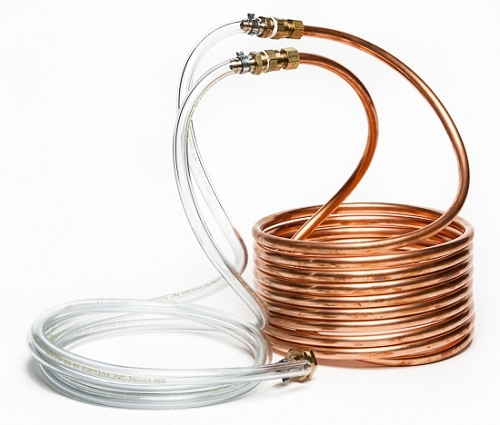 If you do all-grain brewing, you'll need a mash tun, a straining mechanism, and maybe another burner. It's a fun hobby but it takes time, money, and space.